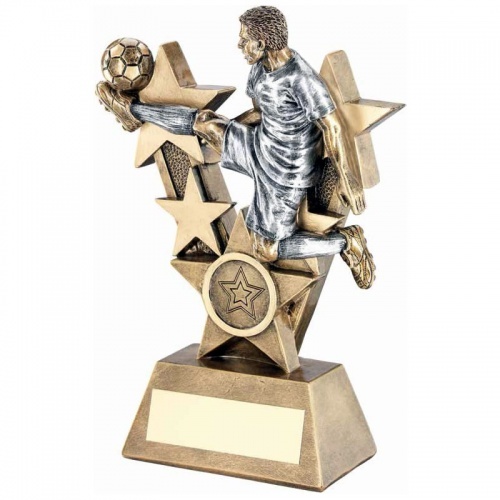 Ideal for individual football player awards, these affordable trophies feature a detailed figure of a male footballer in action against a star studded frame, with a 1in centre at the foot. Finished in a silver and bronze colour, the award is set on a bevelled base with engraving plaque. Stands 6in / 152mm tall, offered with engraving options.